I promised to publicise articles in support of gypsy communities when I see them being mistreated. Here is a good example. 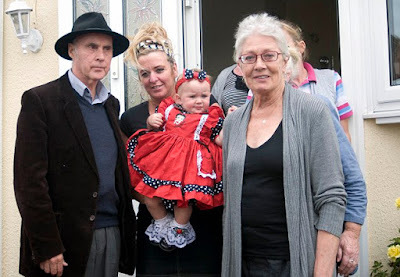 The community of Irish gypsies in Essex on Dale Farm are set to have their homes bulldozed soon because they did not gain planning permission for their homes. The council argue that this is because they are on green belt land. Now I am all for protecting the countryside. But the land that they turned into a traveller site was actually a scrap yard before - hardly the rural ideal that the word "green belt" calls to mind. Plus the gypsies aren't squatters. They own the land. Thirdly doesn't this strike you as unfair considering news reports this week that there aren't enough new homes being built to match demand and that the process of gaining planning permission is too difficult and lengthly. In the article below Vanessa Redgrave has gone to meet the community and draw attention to their plight. The Guardian has written about it in a positive light - taking the side of the gypsies. I doubt very much if they will get the same notice or sympathy from the conservative press.